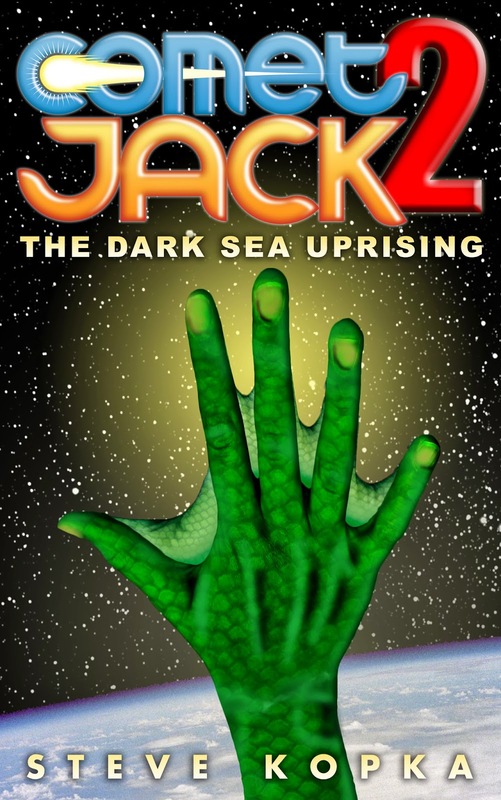 Introducing Comet Jack 2: The Dark Sea Uprising, the sequel to Comet Jack. …Until a mysterious message arrives through the portal, landing loudly in Jack’s attic. Jack can’t read the alien language. He throws it back, but it just returns, again and again. 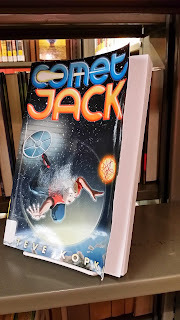 Jack needs to find Regent, his super-smart sidekick from the other planet, but this time when he jumps through the portal, he ends up on a much different world. In a much different body. On Earth, Jack’s secrets are piling up. 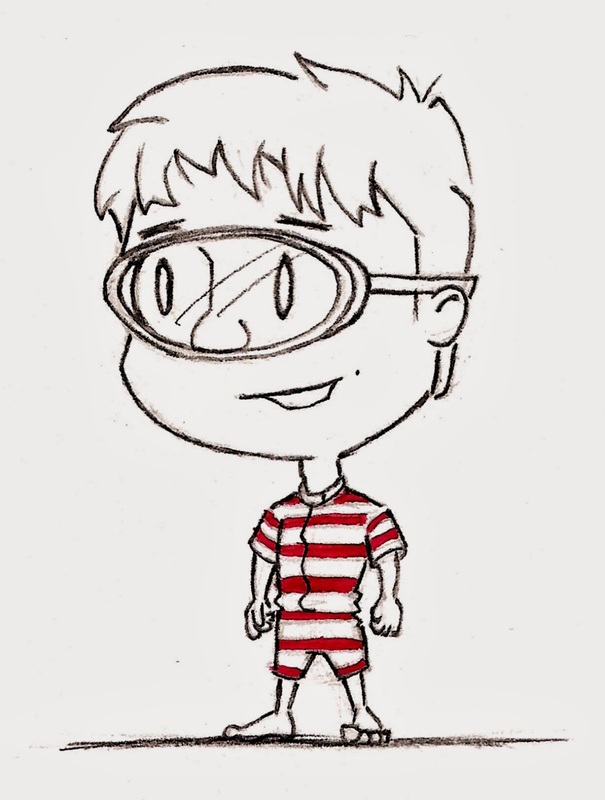 His friends can’t understand why he seems so distant, his parents are concerned with his odd behavior, and worst of all, Jack’s nemesis, Dirt, the biggest bully in school, just noticed Jennifer Mitchell too. 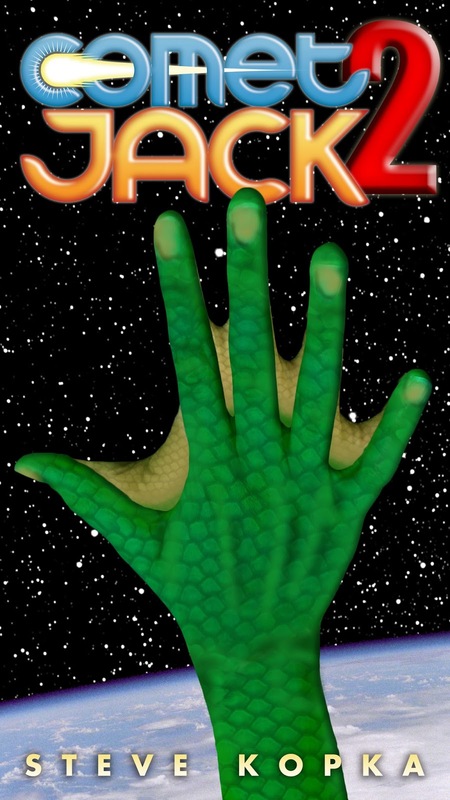 Off-world it’s much worse: Jack may have started a war that will destroy an entire alien race. Also available as a Trade Paperback if you want to hold it in your hands old-school. Contact me if you need a different format. And, for those who haven't read the first book, I'm celebrating the release of CJ2 by reducing the Kindle price of Comet Jack to 99 cents! ...Even better: please consider telling others what you think by briefly reviewing the books on Amazon. If you wish to add your honest review, please click one of these direct links: review Comet Jack or review Comet Jack 2: The Dark Sea Uprising. 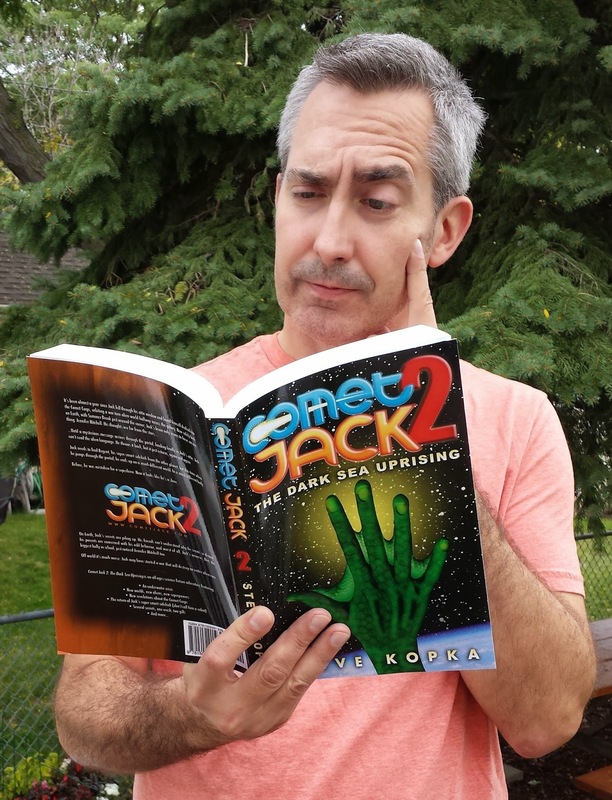 I'm holding the first ever copy of Comet Jack 2: The Dark Sea Uprising! It's the proof, the copy I need to check for errors. I'm combing through it now, making sure it's fit for general consumption. When can you hold your copy? SOOON. 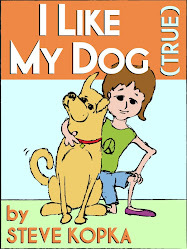 I will fix a few typos, tweak something on the cover, then release it into the wild--both in print and eBook format. Here's the final cover for the new book. No, I haven't just been playing in Photoshop this whole time. I've been rewriting, reworking, formatting, relearning Kindle formats and Createspace specs and how to get Scrivener to put it all together. The book will be out very, very, very soon, but for now, please enjoy the cover upgrade. 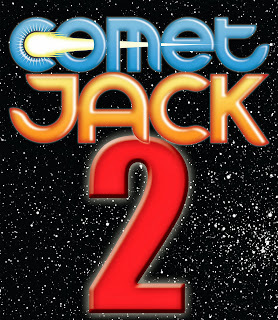 Comet Jack 2's cover is getting closer. I'm tackling it myself this time around, which involves much learning on the fly. 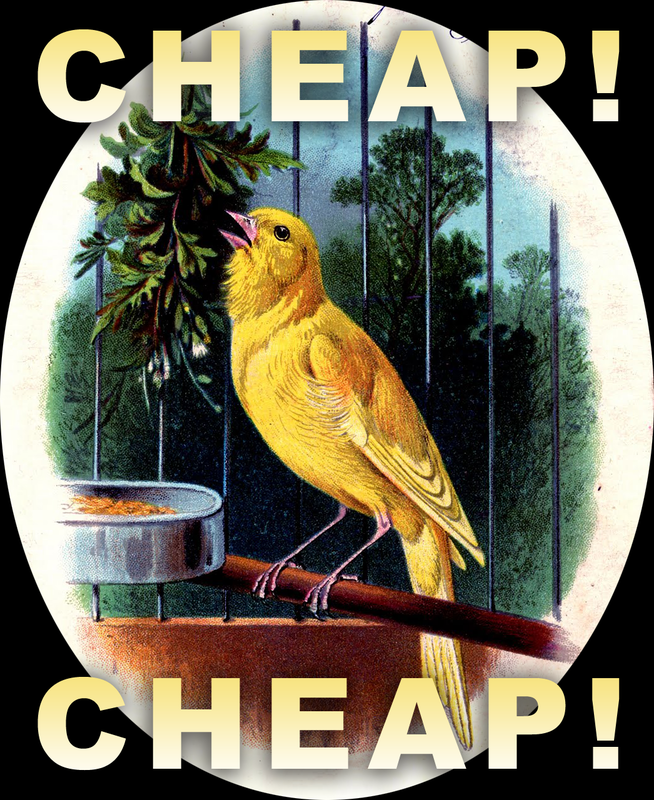 I have a few chops, but not enough to generate something good on my own. Luckily I have lots of help. 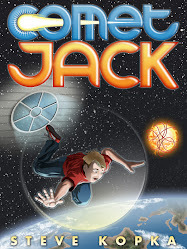 First and foremost, the Comet Jack logo was designed by Phineas X. Jones, for the first book. So that will stick around, of course, to keep the series unified. The red 2 is all me, so don't blame him for that. I also pasted in the star field he created for the first book, so Phineas deserves much credit. But again, none of the blame. Next I took a photo of my son's hand. I removed the background, stretched out some of digits, played with the color and contrast and such, and then painted a texture over it. I found a set of free fish/reptile scales brushes here. Thanks, Tijo! I used some other tricks to play with lighting, add shadows, wrap the scales a bit. Oh, and generate webbing of course. NASA provided the ocean-world planet. I searched for "ocean and clouds" on their Great Images in NASA website. I pretty much pasted that on as is. Which ocean-world is that? It's actually the one we live on, though here it's standing in for an alien world. Thanks, Earth! There's still more work to do on the cover, but I think it's coming together. If you have any advice, please leave it in the comments. When you stare at something for awhile, you tend to miss the obvious, so please feel free to point anything out. in 2013, I just yesterday finished the massive edit on it! So that's exciting. It's now ready for beta-readers, who will help me further tweak it. I also have a short Epilogue to write (which will include some appetizers for Comet Jack 3), a cover to do (I'm trying to tackle it myself this time around), and of course the post-beta-reader edit. After that, I will release CJ2 into the wild. But that's all 2014. This is supposed to update you on 2013. In 2013, I also wrote a rhyming kids book called You Can't Eat A Duck Like That. 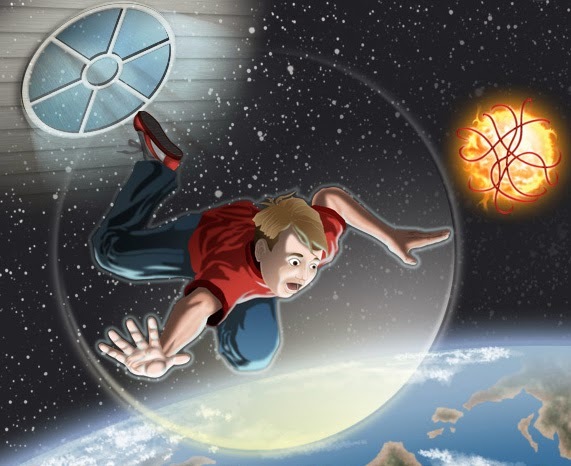 My incredibly talented nephew, illustrator Dave Kopka, agreed to illustrate it. So far it's been fun to collaborate. His job on the project is much, much larger than mine, so this one is "in development." 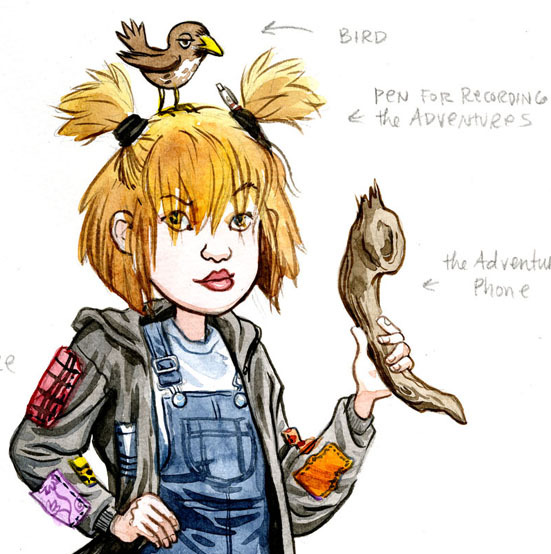 Also still "in development" is Pepperjane Gingersnap. Jill Thompson has been crazy busy in 2013. Check out the Scary Godmother Doll she successfully Kickstarted! Perhaps she'll have time in 2014 to work on Pepperjane. Her initial artwork for it is, of course, spectacular. But back to me: I also read through several old novels I've written and found at least two I think are worthy of polishing and publishing. So there may be some news of that in the future. But I'm supposed to be looking in the rear-view mirror here, right? At the beginning of 2013, I resolved to write every day. With the exception of a handful of days (no more than two handfuls), I actually accomplished this. Some days it was a mere sentence or two. Others were stream-of-consciousness rhythmic nonsense lyrics (some of which I quite liked). 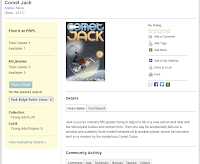 Sometimes I changed a word or two during my editing of Comet Jack 2 and called that my daily writing. Other days, though, I managed to get a solid hour, occasionally two. During the end of writing Comet Jack 2, I had a couple of marathon days. It's amazing to see your daily wordcount hit 4,000 or more when other days it's like pulling teeth to hit 400 (or 40). But here I am writing about 2014 again. Guess it's not a bad thing to be looking forward, especially for a science fiction writer. I wish the same for you--eyes wide and open, looking ahead. Something amazing is just around the corner. 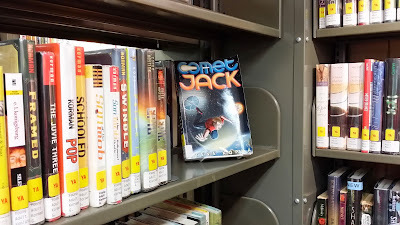 A little bird told me Comet Jack was prominently displayed at the local library so I rushed right over flapping my hands giddily like Homer Simpson. Low and behold, I found my baby sitting on its own easel, in the Young Adult loft, facing cover outward like like it had been picked best in show. Even better, the copy shows signs of wear. Which means readers. Which means I'm a very happy writer. Soon I'll provide this worn copy with a brand new friend. I hope to have the (first) sequel out by the end of the year. "Jack is just an ordinary fifth-grader trying to adjust to life in a new school and deal with the schoolyard bullies who torment him. Then one day he accidentally falls out a window and suddenly finds himself whisked off to another planet, where he has been sent on a mission by the mysterious Comet Corps." Okay, back to work. Comet Jack 2 isn't going to edit itself. 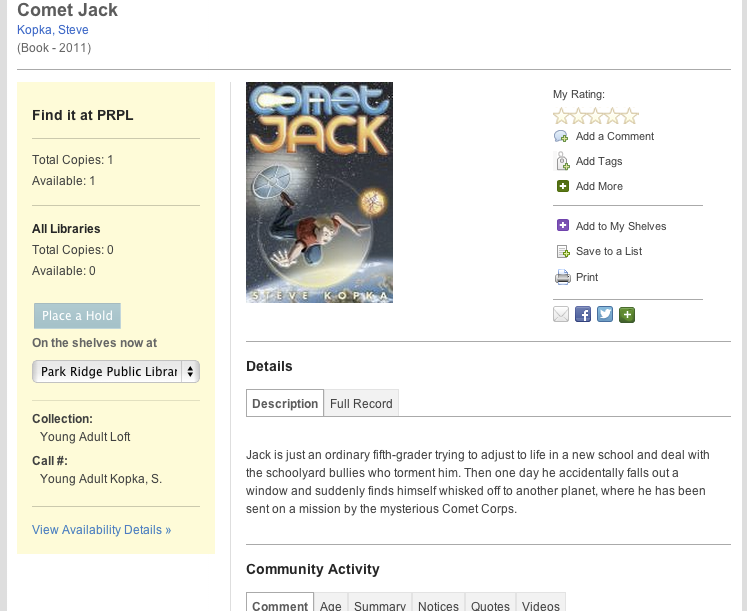 Comet Jack 2 draft is complete! 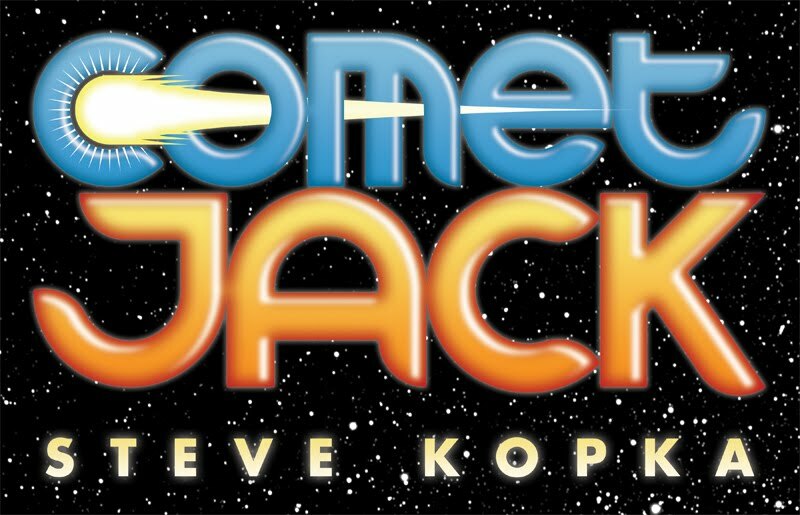 I finished writing the first draft of Comet Jack 2 this week. What a great feeling to type END on something you've been working on for... a while. Part of the reason it took so long to write was that I realized I needed to plan out the third book in the trilogy at the same time. While CJ2 is a complete story on its own, there are important reveals that set up the third book in the set. Will there be other books beyond the initial trilogy? I'm sure, but I do see the first three as a set. Like the first three Star Wars movies. Will this will be my Empire Strikes Back (which is the best of the original movies)? I better get editing and find out. Comet Jack 2 is coming! Stay tuned.